A rim lock is a common feature on most doors. 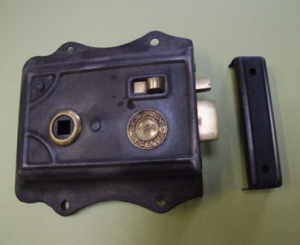 It differs slightly from a mortise lock in that it is placed on the surface of the door. The mortise lock is usually placed inside the door. The lock is not normally appropriate for use at the front door. However, it is still a very important security feature. A rim lock can be used on the front door. However, it cannot be used as the only lock. In most cases, it is used in conjunction with other types of locks such as a deadbolt or a mortise lock. One of the advantages of a rim lock is that it has a spring mechanism that allows it to lock up automatically. This feature can be taken advantage of for when one forgets to lock the door. As a result, if one is in a hurry, they can be assured that the door is at least safely secured even in cases where one may have forgotten to secure the other locks. This can be important especially for people who are always in a hurry and forgetful. The rim lock is very visually appealing. Most people install these locks because of how good they look. They help to make the door look more secure and thus may deter burglars. The locks are usually placed on the outside. This makes them the perfect solution for thin doors. For instance, if one owns a shed, the door might be too thin for fitting with an ordinary lock. In such an instance, the rim lock will secure the door. This can help keep kids away from some of the agrochemicals that are stored in such sheds. A rim lock requires very little time to install. 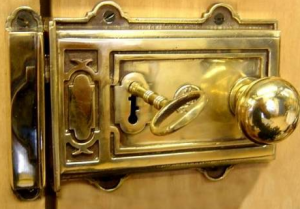 This is unlike a mortise lock, which requires special cavities to be bored into the door. A rim lock can serve as a temporary security device until the locksmith can get the right equipment. This can be especially important for someone who wants to secure a room or a building as one waits for a better door or lock to be installed. A rim lock is a better lock compared to using a deadbolt. Dead bolt locks rely on the strength of the door frame to secure the room. However, a rim lock has many fixing points, which can be reinforced. For instance, one can add a metal plate that makes it more secure. A rim lock is a great way of notifying others if one is in the room. For instance, they are normally fitted on bathrooms to indicate if there is an occupant present there. These types of rim locks have a subtle way of notifying others if one is in the bathroom. Since they are externally mounted, it does not require one to damage the woodwork with huge tools. This also means that they can be elaborately designed with beautiful decorations. Most interior designers now include rim locks as part of their design. Because they stand out so much, they will definitely be a great addition if used well. There are two types of rim locks. The most common type is one that has a knob, which is used to unlock the rim lock from the inside. The other type of rim lock does not have this bolt. It usually requires that one inserts the key each time they need to unlock it. There are many types of materials used to make this rim locks. Because it has a detachable knob, one can make it out of a different material. 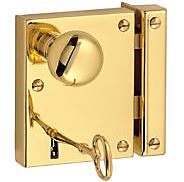 For instance, some rim locks are made of a brass material and a porcelain knob. 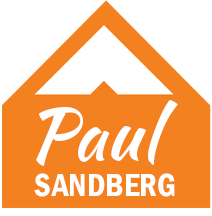 This is great for design. It can potentially raise the value of a house. Some old rim locks were made of wood and required a huge key. While this may not be practical in this century, one can have a reproduction made in metal. A rim lock is a great way to boost the security of a house. They may be installed in interior rooms where the doors are too thin to be drilled. They are definitely good value for money.